Is there anything better in life than eating cake with someone who loves cake as much as you do? My friend Kate has been visiting this weekend so cake has featured very heavily in my diet. Whenever we're arranging a weekend of activities together we like to get an afternoon tea into our plans. As we had Friday off work it was the perfect opportunity to try the afternoon tea at Café Royal as it is only served on week days. 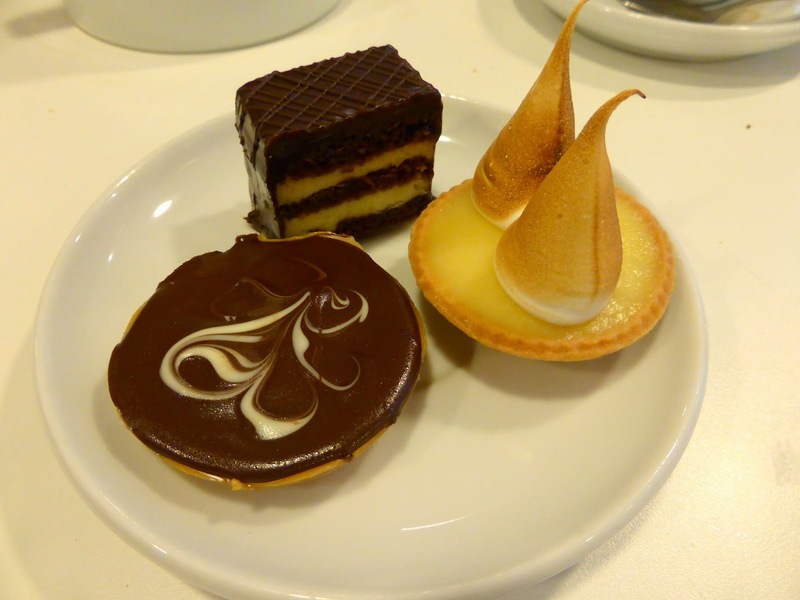 Café Royal is a café bistro in the heart of Newcastle that boasts its own bakery producing mouth watering cakes. There's always lots to choose from and the slices are huge. I'd visited once before for a slice of something sweet but this was my first try of the afternoon tea. For a Friday afternoon it was very popular and practically every seat was taken, not great when I can be a bit of a diva about where I sit in restaurants (I like a nice sized table, away from the door and away from any air conditioning unit) but our waitress was really accommodating in finding us the perfect table. The afternoon tea menu at Café Royal offers something a little different to many others that I've had so it was fun to have something fresh. 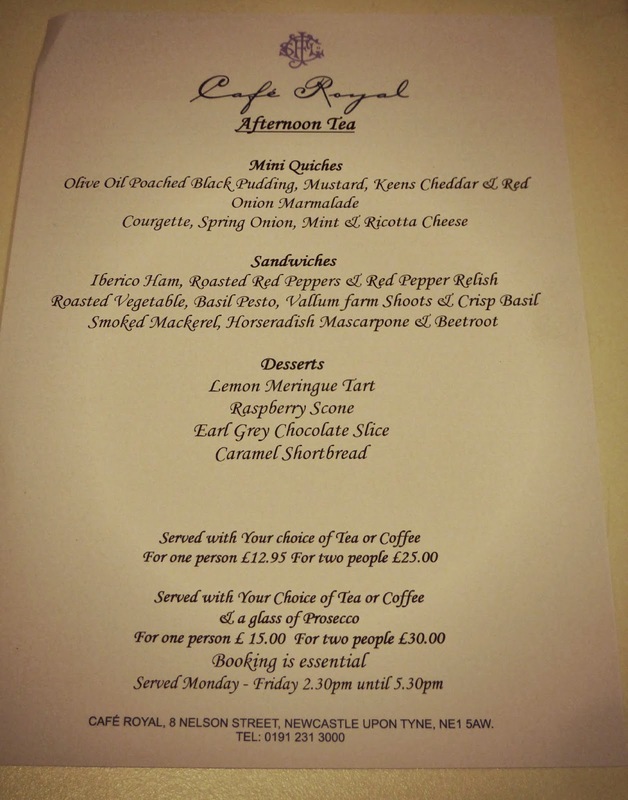 The menu sets out exactly what you get rather than just offering you a "selection of cakes". We really appreciated this as we had the menu to refer to whilst we were making our way through our food. The food was beautifully presented on a slate cake stand so each part of the afternoon tea really stood out against the dark surface. 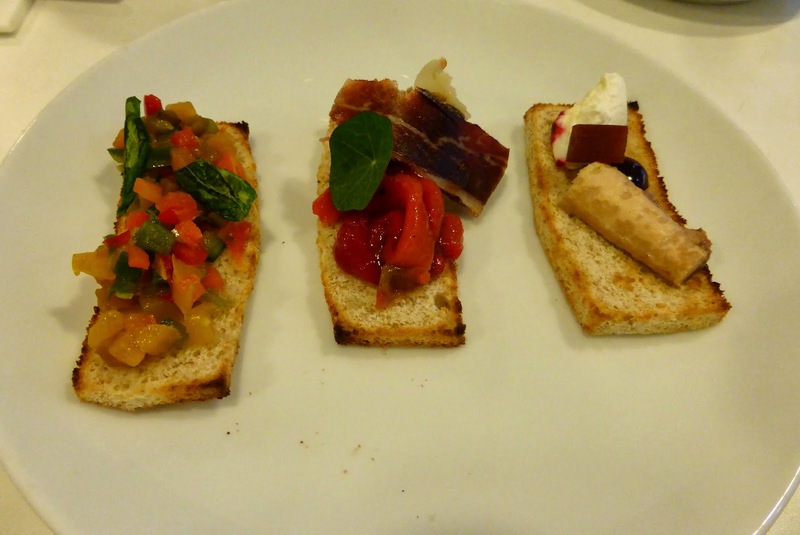 The savoury tier consisted of open sandwiches and mini quiches which were all so delicious. We especially loved the smoked mackerel, horseradish mascarpone and beetroot and would have happily had an entire plate of it. Moving onto the scones and we were really excited to have something a little different to the usual plain or sultana scone. 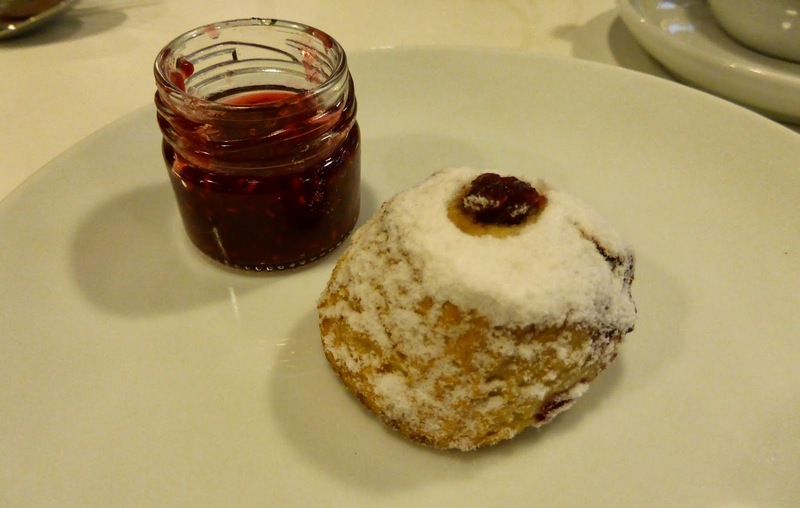 This afternoon tea offered raspberry scones and they were a very welcome and delicious change. Lastly the most important part of any afternoon tea, the cakes. We really couldn't fault them, they were a perfect bite size, full of flavour and a wonderful assortment. Whilst having afternoon tea in a café isn't quite as comfortable as a hotel, the food was so lovely it was worth sitting on hard chairs in a noisy environment to have it. Our only small grumble was that unlike other places Café Royal don't offer bottomless tea with its afternoon tea which I really feel is a necessity when you're stuffing lots of cake. I usually get through a couple of pots and we found that we'd run out by the time we'd got to our scones. Café Royal serve afternoon tea week days between 2:30 pm - 5:30 pm at £12.95 for one or £25.00 for two. 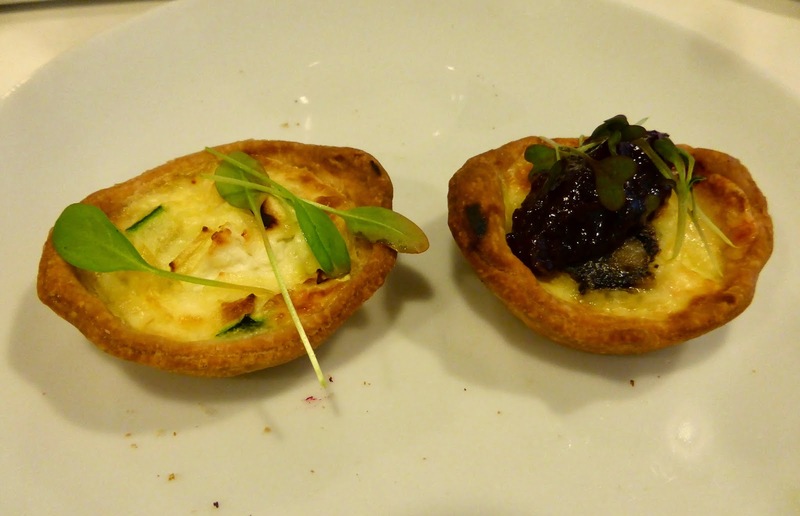 Love the idea of mini quiches!! Everything tastes looks so cute in miniature!! I love these afternoon tea type things! I did one in Victoria BC once and it was so much fun... so delicious!! Looks like a scrummy way to spend an afternoon. Maybe sneak a flask in next time!! This is an amazing idea! In the end they actually just put some fresh hot water on top of our existing tea bags, it was so rubbish and watery :( We were really craving a fresh pot! 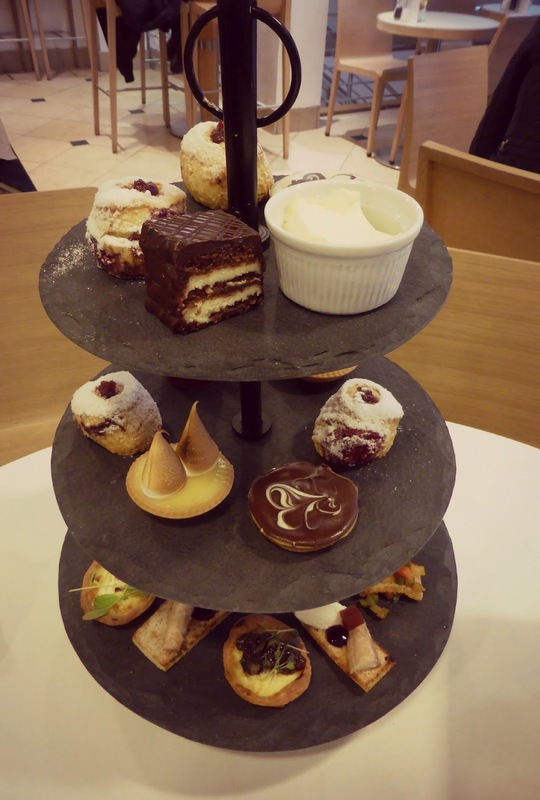 The little cakes look wonderful, and I love the idea of the slate cake stand! This looks amazing, I'll have to try it sometime! Definitely one of my favourite I've had in Toon so far .. along with Jesmond Dene House, Garden Kitchen, Hotel Indigo and GBC!